This Dallas skyline image shows the city on a cold, wet December night. On the far left is the Margaret Hunt Hill Bridge. On the far right is the iconic Reunion Tower. Rising highest in downtown is the Bank of America Plaza. I was fortunate to have the full moon peeking through the clouds, as well. 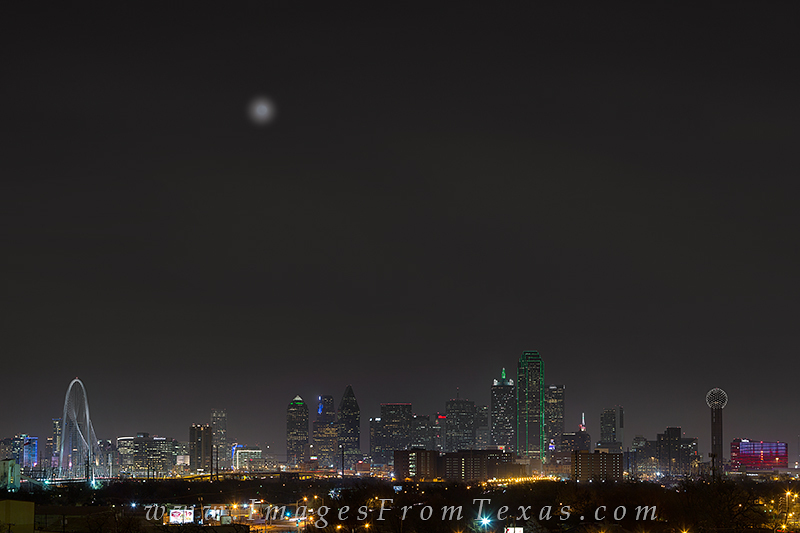 Thank you to the folks at the Belmont Hotel for allowing me to shoot this angle of the Dallas skyline. Photo © copyright by Rob Greebon.